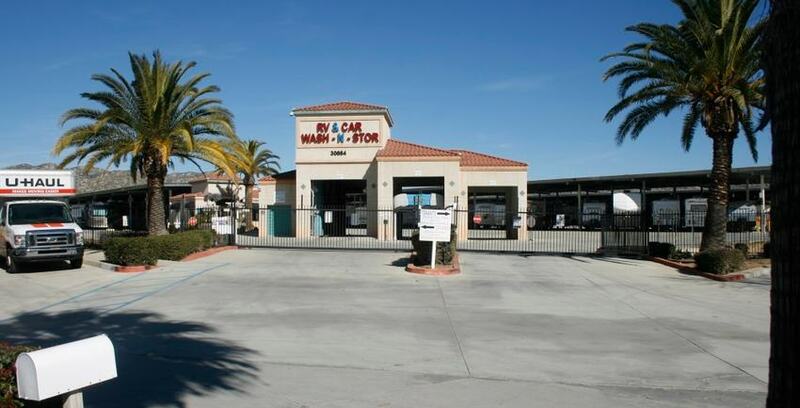 StaxUP Storage in Homeland, California has RV parking and various amenities including a RV wash, dump station, and other features that will make your next RV camping or resort trip a breeze. California is a popular choice for Recreational Vehicle enthusiasts, and for good reason. Without even leaving Southern California, you can find popular and beautiful RV camping at parks and resorts in the desert, on the beach, and even in a grove of orange trees. Taking a family vacation? Why not stay a tram-ride away from Disneyland! Whether you’re a local looking to take your RV out of storage for the weekend or a snowbird headed south for winter, these 4 RV parks provide some unique features – and all of them are just a few hours from StaxUP Storage in Homeland. If you’re looking for a truly unique RV park experience, then Anaheim RV Park should be on your list. The main selling point is the proximity to Disneyland – you’re only 1 mile away from the parks, which is easily covered by the tram. When you get back from the parks, you can relax in the pool, catch up on work or the news at the clubhouse, or lay back and enjoy the cable TV service and free WiFi. Pets are also welcome, and a dog walk area is provided. Pick oranges fresh from the tree at Orange Grove RV Resort. California’s oranges are shipped throughout the country, so have a uniquely Californian experience and visit the Orange Grove RV Park. Located in an orange grove and sporting world-class amenities, Orange Grove RV Park even allows you to pick oranges straight off the tree when they’re ready! With WiFi and broadband internet, cable TV, and phone hookups you can connect with the world while on vacation. When you want to get away again, visit the pool, game area, billiards room, and more around the park. They even opened a new dog run park for the pooches in your life. If you’re more interested in hitting the beach, then Mission Bay RV Resort is right up your alley. Mission Bay is located on two sides of the resort, providing beautiful views, and beach access. A boat ramp, pet area, outdoor games, and a recreation hall provide tons to do without leaving the grounds. When you are ready to explore the rest of San Diego, you’re already inside the city and a short drive from all of the sites. SeaWorld is on the other side of Mission Bay, and Balboa Park, home of the San Diego Zoo and dozens of museums, is a short drive down Interstate 5. Jet skiers enjoy a day on the lake at Lost Lake Park. For something a little different, look inland – all the way to the border with Arizona. The Lost Lake Resort is nestled along the Colorado River, away from cities. All sorts of watersports are available in the lagoon and Colorado River, making it a destination for anybody that brings their boat or personal watercraft along. All of the standard RV park amenities are available, including a general store to restock your pantry or update your wardrobe for the desert. Store your RV at StaxUP Storage. We have 20 locations across Southern California that will help make your next RV trip hassle free. When you get back from your trip, StaxUP Storage is prepared to handle your RV Storage needs. With 8 facilities providing parking around Southern California, StaxUP Storage provides convenient storage locations along with our world-class facilities and customer service. StaxUP Storage in Homeland, California also features an RV Wash so you can clean your vehicle before and after your trip – if you’re going to travel in style, you should look the part! Self Storage Milestone: Happy 3-Year Anniversary to Kassie Reyna! Property Management Milestone: Happy 8-Year Anniversary to Kathy Vieira! Self Storage Milestone: Happy 13-Year Anniversary to Chad Hunt! StaxUP Storage Ugly Christmas Sweater Contest Winners! Congratulations to these StaxUP Storage Team Members! How Can StaxUP Storage Help You?